We've been working with Pegasus for over a year now and this was our second beauty showcase! 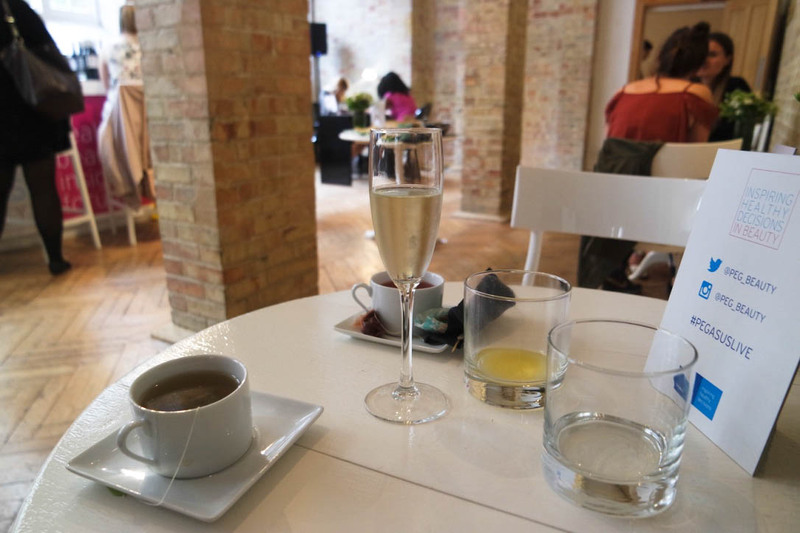 I absolutely loved our first one, as it was one of my first ever blogging events! You can see my post on it here. Pegasus represent some of our absolute favourite brands including Avene, Collection, Trilogy, Bio-Oil, Rapid White, Lloyds Pharmacy, Dr. Organics and their most recent addition to the Pegasus family, Weleda. 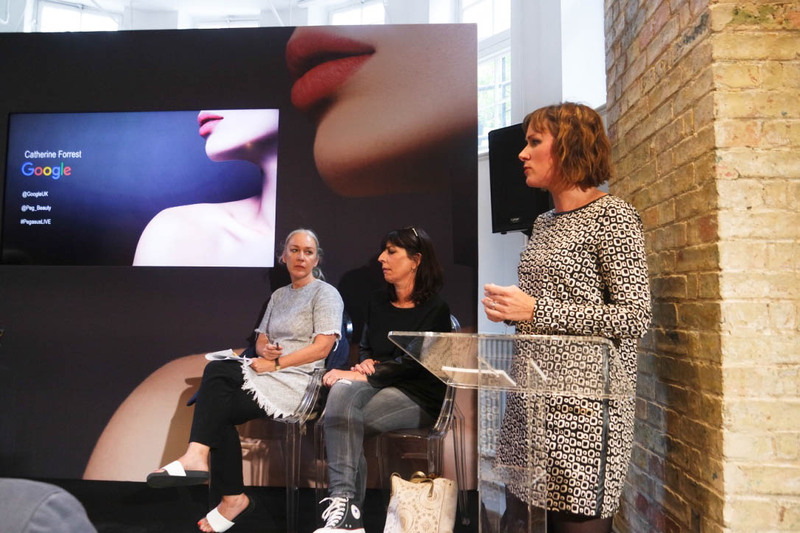 Towards the end of the event, they held a panel to talk through the successes and challenges that the beauty industry faces. 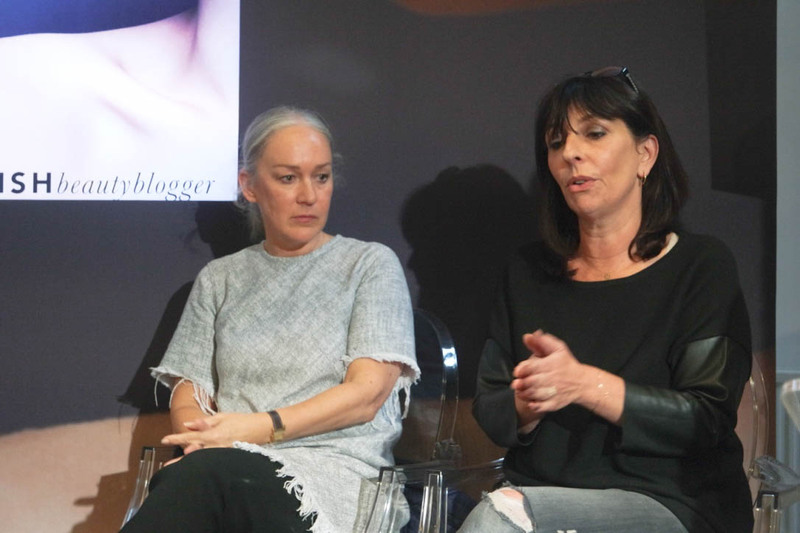 Members of the panel included THE Ultimate Beauty Blogger; Jane Cunningham of British Beauty Blogger, Catherine Forrest, Google Mobile expert, Anna-Marie Solowji, beauty journalist and co-founder of BeautyMART and Imogen Matthews, beauty industry commentator and author of the Premium Market Report. The first brand that caught our eye was Collection. We were really impressed with their products at the last Pegasus event. You can see our post on the Little Mix palette here. This year, we got to try out the new Illuminating Touch foundations, and the new professional make up palettes, including eyeshadows, blushes, concealer palettes, and an all in one face palette. I can't wait to try them! For up to £5.99 you can get your hands on the #ConcealAndLightLikeAPro, #FaceTheDay, #BlushAndGlow or the #YourStyleYourMood palettes from Boots. Pegasus' newest addition to their beauty hat of tricks, Weleda has fast become my favourite addition to my handbag. Their new almond range (especially the hand cream) are absolutely scrumptious. The new packaging is beaut and the products work so well for this winter's attack on our skin! Trilogy is another is another brand that impressed us with their range last year. Their rosehip range of anti ageing products just looked amazing. 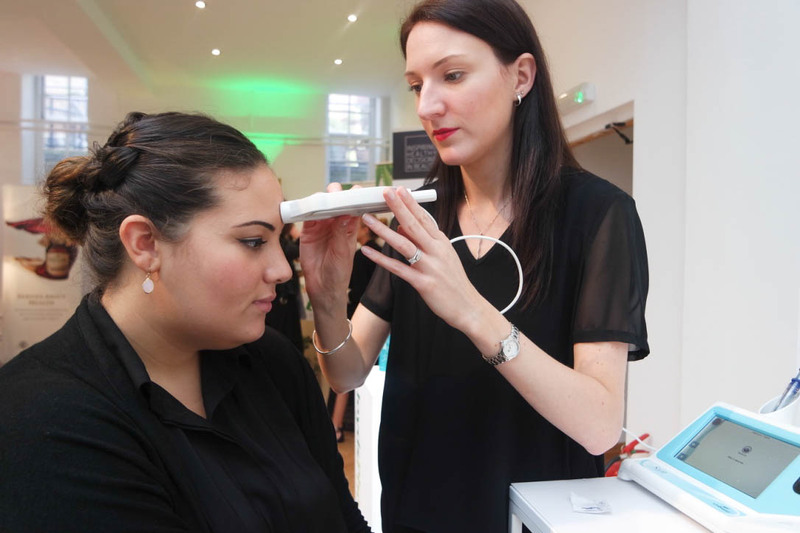 Showcasing at this year's event was their CoQ10 range and cleaning balm. Their flannel was super soft and even removes make up from the most sensitive skin with one quick wipe! Ladival was a new one for us, they offer deep protection for skin, protecting you from all of the sun's rays, not just the known ones! They also offer a range for kids, and not to worry, they all have that sun lotion smell that just brings us back to holidays past even when sniffing it in winter! Oh how I could do with a nice holiday the new year! We swear by Bio-Oil. It's the one product that does so much from one little bottle! It can help bring youth back into tired skin, reduce the appearance of scars and stretch marks and even-out uneven skin tone. Again this year, they were promoting body confidence with their #mybodyphilosophy. Our tip was "Ignore the comments of others and be proud of what makes you different!" Solgar was another brand we hadn't come across directly. Their all-gold stand couldn't've been more appealing! They offer a wide range of vitamins and supplements. Their products include: Skin, Hair and Nails, Hyaluronic Acid Complex, Resveratrol, Biotin and Wild Alaskan Full Spectrum Omega. These can help with collagen, plump and smooth the skin, help with anti-ageing, healthy hair and hair growth! We are huge fans of the Dr. Organic ranges, especially the Snail Gel range. The benefits we've seen of the gel and creams is amazing! Dr. Organic's new Hemp Oil range smells so much better than you'd probably think. I cannot wait to get my hands on the lip balm and Shampoo! Avene has been a favourite of ours for quite some time, solving many skin issues we've faced over the years. They're offering an acne treatment routine rivalling that of Clinique! Super eager to try it out! I can't help but love Skincere's packaging. Its so simple, clean and looks great in photos (what more could a blogger want?!) 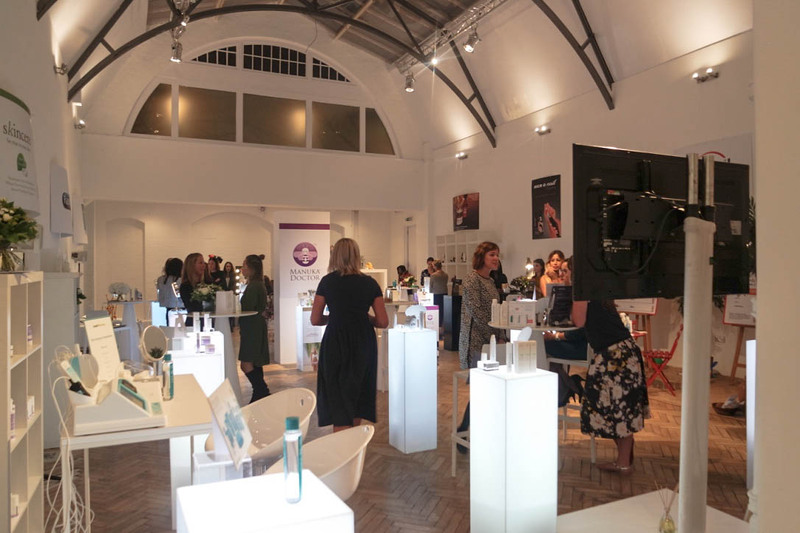 We didn't get to try out the products, however their promise of 100% natural ingredients which were alcohol, wheat, soya, dairy, synthetic, fragrance and preservative free-ness is just so appealing! Some more amaze brands include Rapid White, SEQ, Pure Essentials, Skin Effect and Manuka Doctor. I've been using the Pure Essentials Micellar water all month and it's so good at taking my makeup off after a long day! Rapid White toothpaste is the staple to my daily routine also. It leaves my teeth feeling super clean and super white after just one brush! We're really eager to see the benefits of the Manuka Doctor anti-cellulite and anti ageing range! Lastly, is Lloyds Pharmacy. They were offering skin reports, informing you of elasticity, skin type, moisture etc. 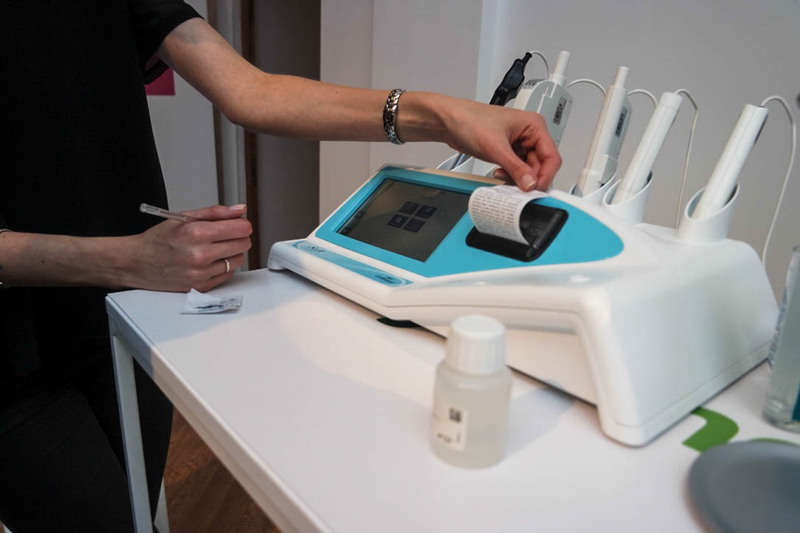 Some really interesting results helped us find suitable skin care, perfectly matched to our skin type! The Panel was really informative and gave us a real insight into how to improve our blog, what products to invest in and what the key trends are! We absolutely love the PegasusLIVE event this year, and cannot wait for next year! Did you attend PegasusLIVE? What was your favourite brand?